Been having a ton of issues with Destiny. Getting kicked. Contacting servers. 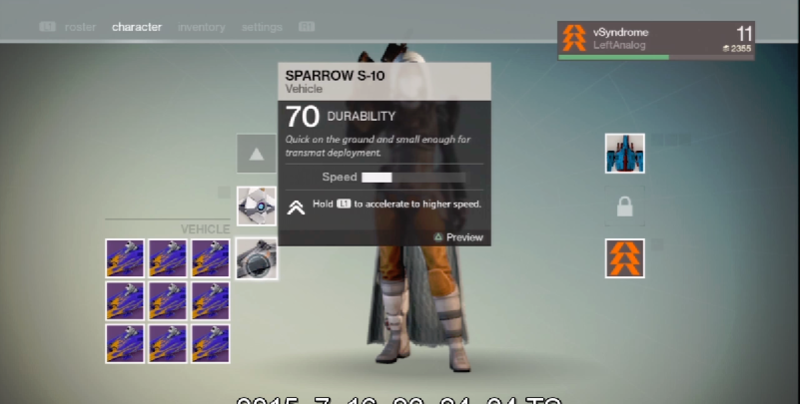 Now I have 9 sparrows. Hey man.. that skin you have on warzone looks pretty awesome. Also, did you get my PM on True Talent? I started something then got sidetracked. lol. Ill work on something and get it to you Saturday.